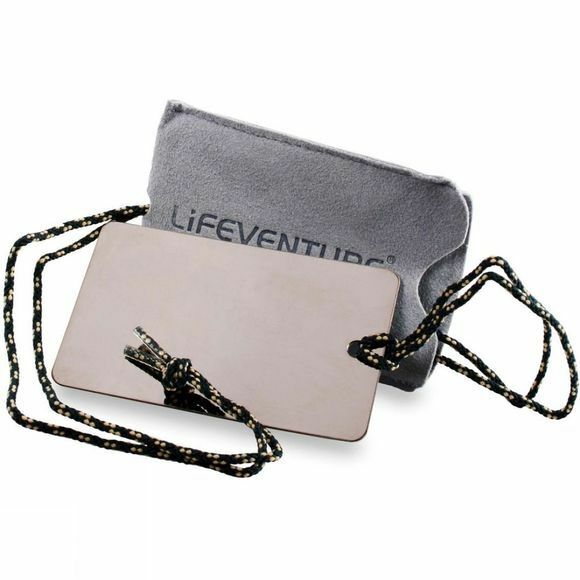 The Lifeventure Stainless Steel Mirror has been nade from polished stainless steel and stores in its own suede effect pouch which doubles as a cleaning cloth. It is easy to protect and clean for extended use when travelling or in the outdoors, and comes with a neck cord attached. Dimensions: 85x55x5mm. Weight: 18g.